You’ve been drafted into The Skeleton War. As a skeleton, fight your enemies for glory! What is The Skeleton War? The Skeleton War is a multiplayer LAN game where you and up to 7 others all fight against each other. The combat is melee focused with some ranged combat (bombs!). When you lose a limb or even your head, that’s not the end for a skeleton. Fight with other skeletons and remove each others' limbs, then pick them back up and keep on fighting. Be careful though, once you’re left with only your rib cage, one more hit and you will die! Gain points by removing limbs and killing players. The player with the most points wins! Collect limbs to match the colour of your rib cage. Points are awarded for every matching limb. The player with the most points wins! Fight with your hands (and feet, if you have a leg as an arm (yes, that's a thing)). Shovels are the strongest melee weapon and can remove any limb it comes into contact with. Bombs are highly destructive and can send players flying. All of the limbs that are removed from players and are on the ground can be picked up and used as weapons. The Skeleton War is intended to be played on a LAN. 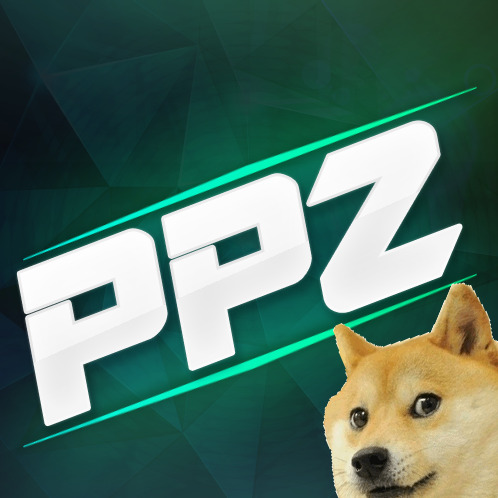 However, if you wish to play online, the person who hosts will need to set up port forwarding through port 7777. For more information about port forwarding, take a look at the infographic below. We're excited to announce that The Skeleton War is now out and available to download. The Skeleton War is a multiplayer game designed for up to 8 players to play together and break each other apart. Everyone is a skeleton, but no one is particularly attached to their limbs. Break your friends legs off and take them for yourself. There are two game modes to choose from, Bone Collector and Dye Another Day. So join The Skeleton War today and bring your friends together, by breaking them apart. We hope you have fun! 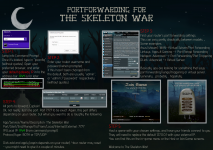 The Skeleton War is a game designed exclusively for multiplayer play. It works best over a Local Area Network, but friends may connect to your game over the internet if you provide them with the external IP address displayed on the Join, Host, and in-game menus. If your computer sits behind a router, you will have to configure your router to forward all traffic on port 7777 to your computer's local IP address (which usually looks something like 192.168.1.x). More detailed instructions on how to do this are available here. Hello, my name is Tim Kristiansen. I was wondering if you're looking for a music producer/sound designer for your game. I have previously made the music and effects for 'Robototics' which became a featured app/game on appstore. Thank you for your interest in our game. We will be releasing on the 19th and can't wait to hear your feedback once you've played it. The game is released now! Just one week until The Skeleton War is released for PC! Who's ready to get their skeletal moves on?